We (meaning my wife) decided at 55 years of age, after being a passenger for so long, it was time for me to learn to drive. People associate learners with young people so imagine how it feels for the oldies! 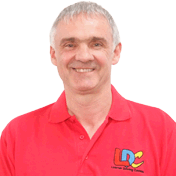 I decided, after research, on the LDC system as it offered a structured route with visual and written aids. I got lucky with Alastair as my instructor. His undoubted enthusiasm and constant patience meant the whole lesson was a learning experience. I can honestly say that this was the main reason I passed in such a short space of time. I wasn t an occasional driver until Easter Saturday and hadn t driven for over 20 years. True testament to Alastair s technique. First Class. 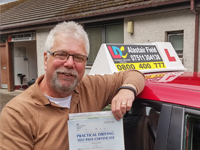 I'm a driving instructor in Inverness, North Kessock, Munlochy, Avoch, Fortrose, Rosemarkie, Culbokie, Muir of Ord, Beauly and surrounding areas.